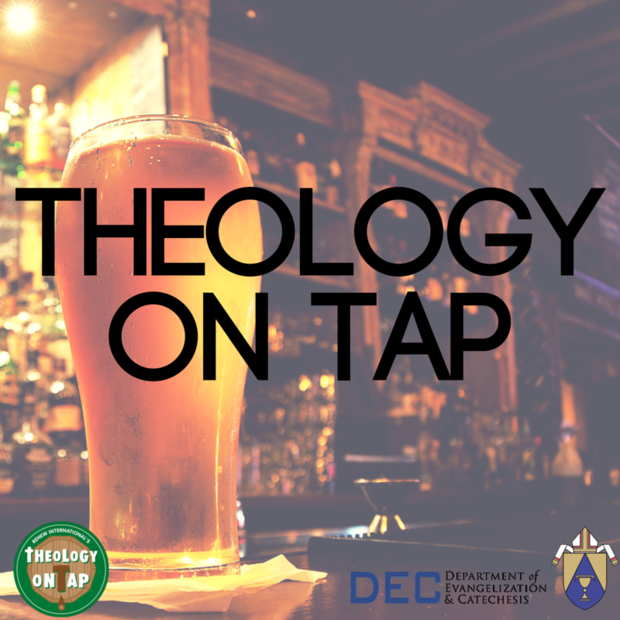 What is Theology on Tap? Theology on Tap is a program through which the Catholic church seeks to engage young adults in their 20s and 30s. It is centered around a series of events held in a casual setting such as a restaurant, bar, or parish hall where young adults are invited to listen to a speaker, share faith, and dialogue with people who share similar values and experiences. The objective of Theology on Tap is to provide an opportunity for Catholic parishes and groups to share the richness of Catholic faith with young adults, and offer a setting where people of similar values and faith can gather in a peer community. Note: Theology on Tap is trademarked by the Archdiocese of Chicago, and administered by RENEW International. Where is Theology on Tap offered in our diocese? Click to Facebook for more information.